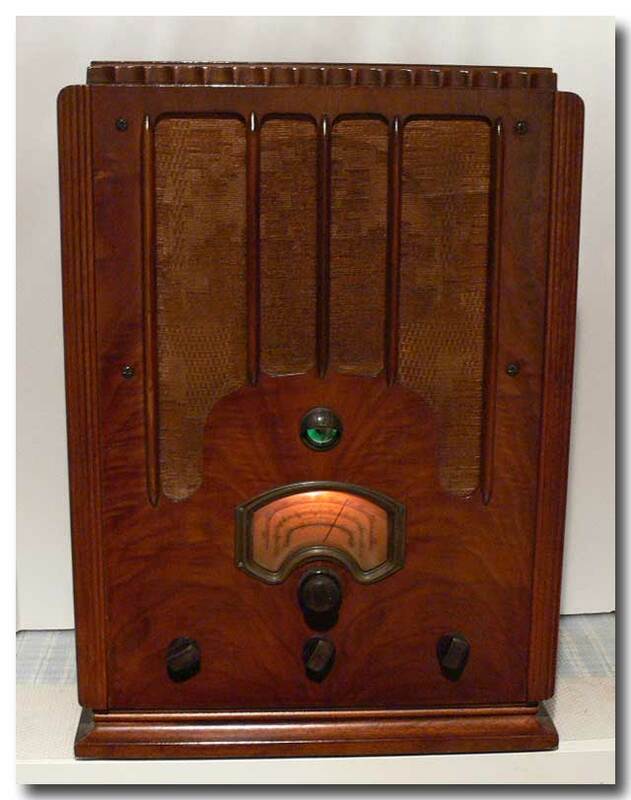 A Canadian General Electric tombstone tabletop Broadcast, Short Wave & Police Band, Super-Heterodyne radio with a tuning eye that lights up green to indicate you’re on the station. Lovely wooden cabinet in great condition. Centre dial lights up nicely. Full working condition. Very good reception through an Electro Magnetic Dynamic LS speaker. 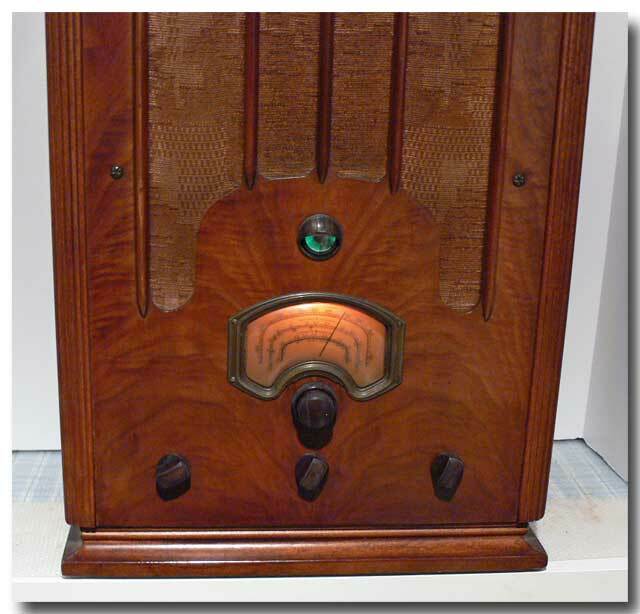 This chassis is equivalent to RCA Victor table model T7-1 & console model c7-1 as they share a common schematic. Measures in inches approx. 15.5 wide x 21.75 high x 10.0 deep.